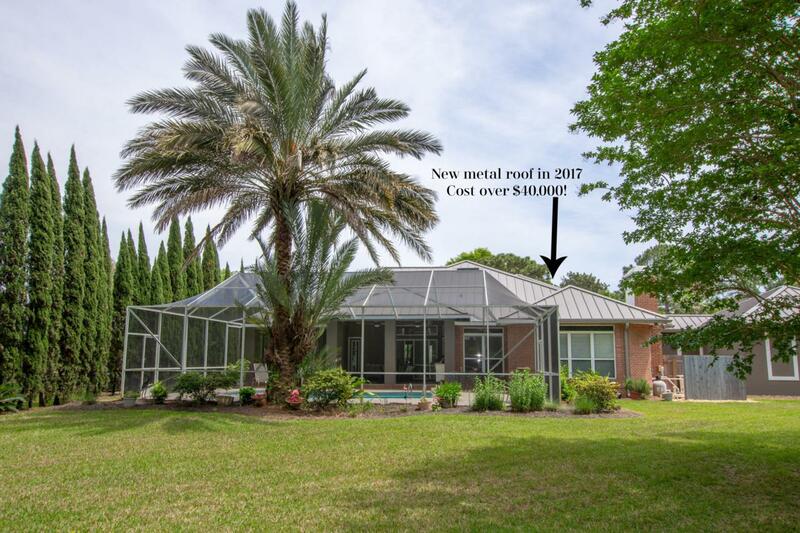 This Indian Bayou home is a sanctuary, enveloping you in lovely traditional architecture and classically beautiful interiors - surrounded by lush and tropical landscaping on a large and very private cul-de-sac lot directly on the beautiful Indian Bayou golf course. With 4 bedrooms and 3 full baths + a FOUR CAR garage, this home offers the utmost in flexible living, featuring an eminently livable floor plan, enjoying unmatched quality and comfort--from large dining and living spaces (one with a cozy fireplace) that all open to the pool and lanai. Indulge in the home's distinctive features all extensively and beautifully renovated including an open chef's kitchen with new quartz counters, sleek white cabinetry, custom pantry, double oven and induction cooktop. Relaxed elegance abounds here,with lovely rooms featuring high ceilings and adorned in luxury finishes including new metal roof 2017, exterior painted November 2018, upgraded light fixtures including new LED lighting in main living areas, renovated bathrooms with onyx counters, gas fireplace with beautiful tile surround, Rinnai tankless water heater, and custom window treatments including plantation shutters. The stunning Master Suite opens to the pool and lanai and features a soaring tray ceiling and a huge Master Bath with beautiful onyx counters, custom designed cabinetry, high end faucets, Robern recessed medicine cabinets, his/her sinks, large soaking tub, separate shower tiled from floor to ceiling, separate commode and custom built walk-in closet. The guest bedrooms are equally spacious. The exceptional lot affords extensive outdoor entertaining space, including a large heated pool which was just resurfaced in 2016, large covered entertaining space with built-in DCS grill with side burner, screened lanai, all of which is engulfed in lush landscaping designed to bloom in all seasons including 5 productive fruit trees! There is a new brick paver driveway, freshly painted exterior and a 2 car attached garage plus a newly built additional 2 car oversized SUV garage with 3 heated/cooled storage closets and a large work area perfect for a work bench or storage. 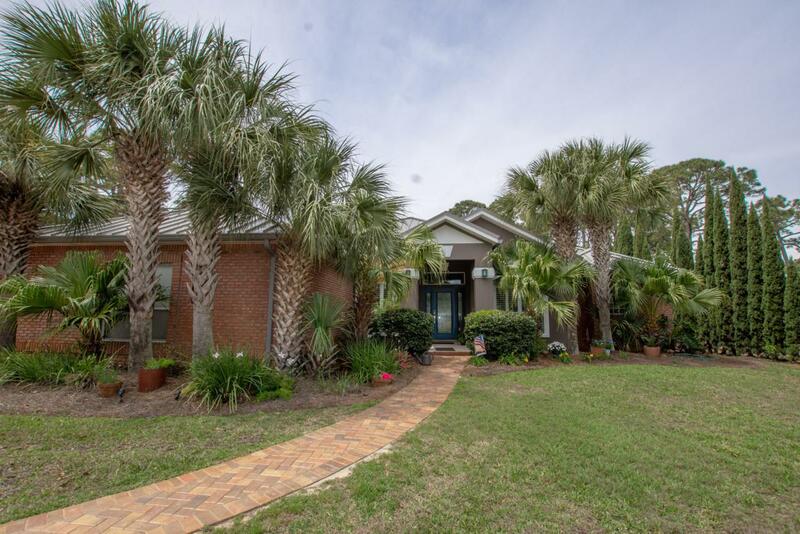 Indian Bayou is a golf-course community that offers the best location in Destin - easy access to everything including Destin schools and residents can get a $35 parking pass at Henderson State Park for arguably the best beach just minutes away! 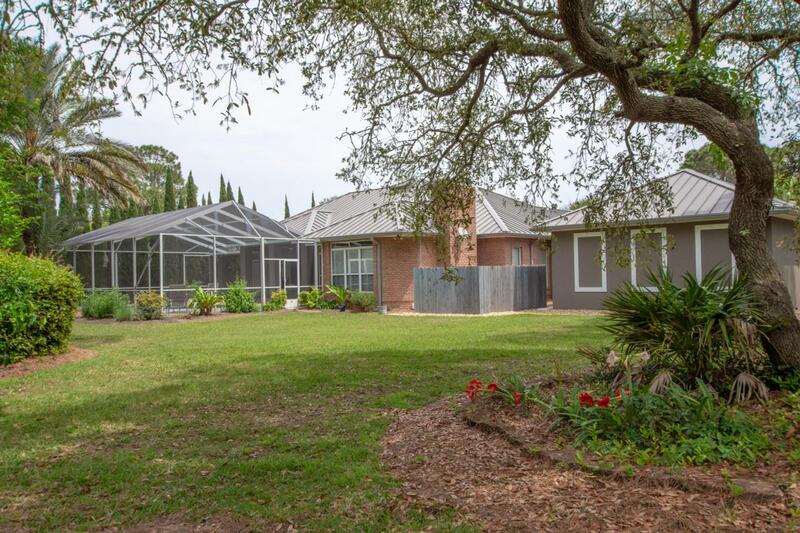 Indian Bayou HOA fees are only $250/year and include security. Listing Broker/Salesperson is related to seller.